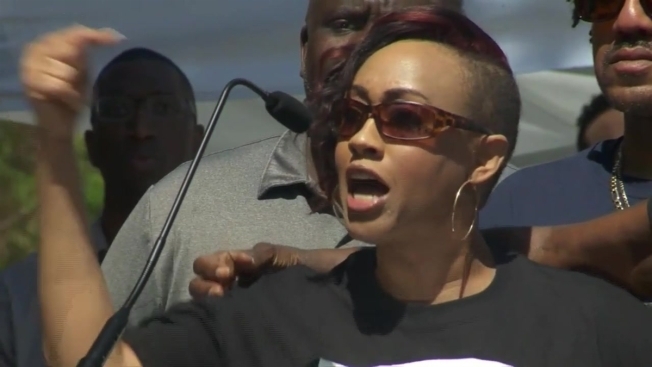 The family of Stephon Clark joined hundreds of people at a rally urging California's capital city not to let his memory or calls for police reform fade nearly two weeks after the 22-year-old unarmed black man was killed by Sacramento officers. A female demonstrator was hit by a Sacramento County Sheriff's Department vehicle as a crowd began marching in the streets after another vigil Saturday night. In a statement early Sunday, the department said "the collision occurred while the patrol vehicle was traveling at slow speeds," adding that the woman suffered minor injuries. The statement also said the sheriff's vehicle, which was surrounded by protesters yelling and pounding on the car, "sustained scratches, dents, and a shattered rear window." 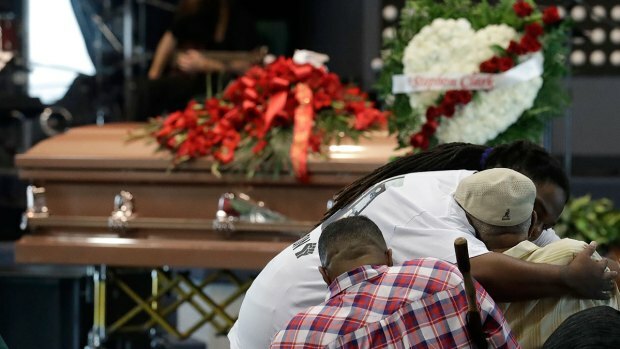 Former NBA player Matt Barnes is calling on two of his former teams — the Sacramento Kings and the Golden State Warriors — to come to a rally for Stephon Clark, an unarmed black man who was fatally shot by Sacramento police. About 150 people attended another vigil and protest Saturday night outside a sheriff's department office. 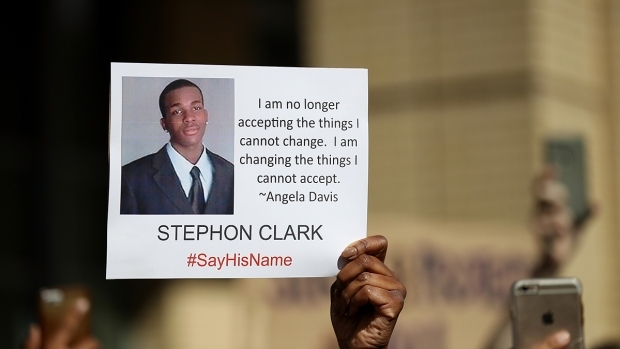 It was the latest disruptive but mostly peaceful demonstration since Clark was killed. Protesters have twice blocked fans from entering games involving the NBA's Sacramento Kings at a downtown arena, but there were no signs of trouble amid a big police presence at a game Saturday night against the Golden State Warriors.